Welcome to KidLit Gems, a coffee-style chat about favorite children’s books and the elements that make them shine. Maple will charm anyone who loves Kevin Henkes’ Chrysanthemum. 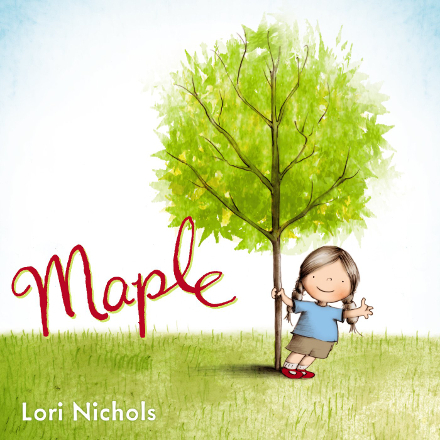 Lori Nichol’s début picture book also has the sweet promise of new life; the struggles and rewards of friendship, growth, and self-identity; and a curious female protagonist who loves her name. Nichols skillfully communicates innocence and calm through white and blue space, then embraces her characters and readers with translucent leaves. The pages, with their recurring themes will make you go back to revisit. Was a bird’s nest there before? Growing up in a family of die-hard tree-lovers, I appreciate how Nichols created special bonds between her human characters and their deciduous namesakes. I’ll admit, I’m relieved my parents didn’t do the same, because my name would be Spruce. And evergreens are harder to hug. If you enjoyed Maple, you’ll also love Sophie’s Squash written by Pat Zietlow Miller and illustrated by Anne Wilsdorf. Full disclosure here: Maple and Willow were both on my baby name list in case I had girls. But even without my inherent bias, this endearing story following a little tree-hugger through the seasons definitely holds its own. Sparse text and uncluttered illustrations work in harmony to parallel the growth of trees and families. Maple’s sometimes clumsy attempts to befriend her tree, and later her baby sister, are sweet but not sappy. Pun intended, fir sure! 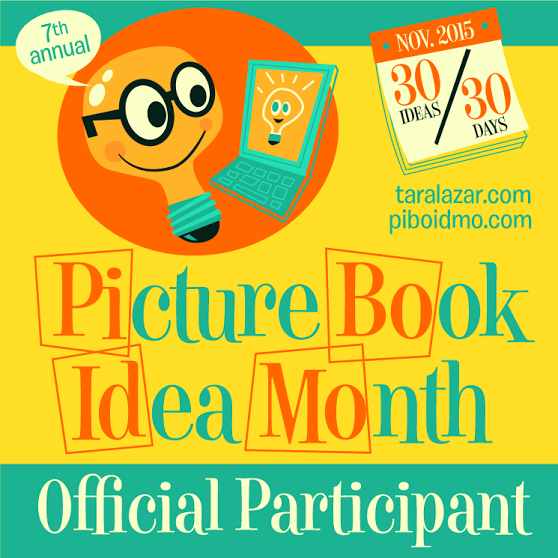 What children’s books plant seeds in you? 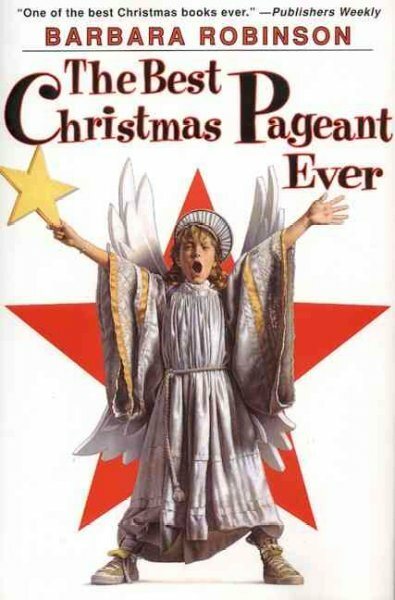 As KEM’s Christmas gift to you, we recommend The Best Christmas Pageant Ever, a seasonal classic you’re sure to love. Barbara Robinson’s first person story about misfits is outrageously funny. Like all true comedies, that which is tragic is conversely Herdmanlarious. Robinson’s narration accomplishes this edge through the voice of the innocent, yet watchful protagonist’s narration. The unbiased account of the Herdman’s understanding of the birth of Jesus is sweet and provoking. Ask yourself, would you want a bullying Herdman in your classroom? Like Jesus, the narrator embraces the scarcely lovable and interjects wisdom upon her fellow peers’ and parisioners’ judgmental ways. Afterall… isn’t that the point of Christmas, to open our hearts, unto ALL? But as far as I’m concerned, Mary is always going to look a lot like Imogene Herdman–sort of nervous and bewildered, but ready to clobber anyone who laid a hand on her baby. Second only to the Bible, this was the most-read Christmas story in my house growing up. My dad still can’t read it aloud without stopping to gasp for air. Barbara Robinson brilliantly captures the politics of the everybody-knows-everybody small town, and the chaos of the annual Christmas pageant in a small town church. Her characters remind you of your neighbors and the kids you grew up with, her dialogue pokes fun at annual Christmas traditions and expectations, and her Herdmans show us what it must be like to hear the Christmas story for the very first time. Ralph, Imogine, Leroy, Claude, Ollie, and Gladys ask the questions that those of us who grew up in church often fail to ask, and the result is a very sincere and poignant version of the nativity, black eyes and all. Well. That stirred things up. This story brought me from stomach-buckling laughter to pillow-hugging tears. Barbara Robinson shared the true meaning of Christmas without proselytizing or gushing. Through subtle humor from the curious introspection of the young narrator, most of this story touches your heart between the lines. It’s tragic, because many of us know the Herdman’s—that family of practically-orphans lost between the cracks of society. Yet, it’s magic, because Robinson showed us how a rag-tag troop of clueless outcasts can teach an entire community about acceptance, growth, and wonderment. And Robinson accomplished this without adding one iota of pity or condescension. Mrs. Wendleken didn’t even want cats to have kittens or birds to lay eggs, and she wouldn’t let Alice play with anybody who had two rabbits. Please share your The Best Christmas Pageant Ever comments! “. . . Since then, (1979, after the Shah fled Iran to escape the Islāmic revolution), this old and great civilization has been discussed mostly in connection with fundamentalism, fanaticism, and terrorism. As an Iranian who has lived more than half of my life in Iran, I know that this image is far from the truth. This is why writing Persepolis was so important to me. I believe that an entire nation should not be judged by the wrongdoings of a few extremists. I also don’t want those Iranians who lost their lives in prison defending freedom, who died in the war against Iraq, who suffered under various repressive regimes, or who were forced to leave their families and flee their homeland to be forgotten. 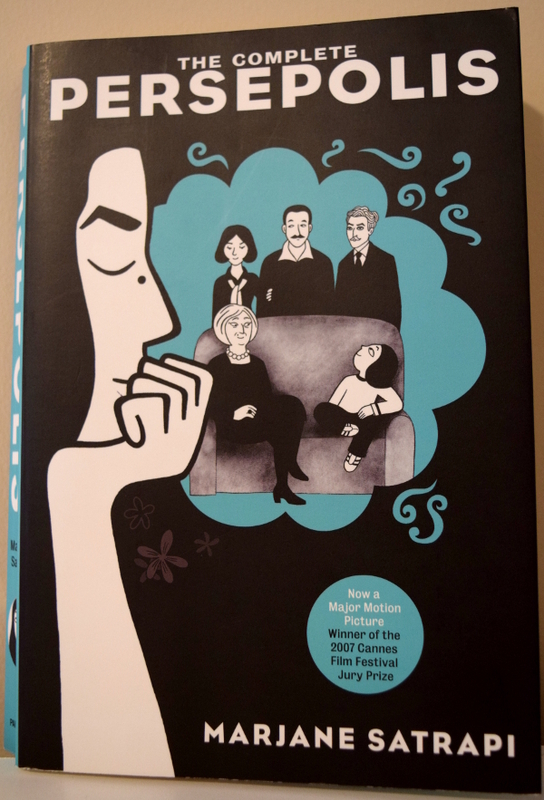 Marjane Satrapi’s autobioGRAPHIC novel is: an art form with comic content, a coming of age narration, illustrative of revolutionary Iran, unique, historical, and provocative! Reading it felt a bit like scanning a box of Satrapi’s neatly organized film negatives. The sparse and purposeful word choice intensifies Satrapi’s high-contrast inking. The wedding of her visual and literary style provides the perfect medium to unveil BOLD commentary about how the Islāmic Revolution tainted childhood innocence. Although this rebellious first person narration is rendered in black & white, PERSEPOLIS delves into the murky greyness of political conflict; a YA must read! Click here for chapter summaries. Although PERSEPOLIS is heavy with political and social issues, Marjane Satrapi’s childlike perspective is still refreshing and relatable. She gives readers an honest and poignant look at the traditions that suppress many in her distant Iranian culture. Simultaneously, we also read about a girl whose struggle with identity and security is not so different from our own. Marji’s experiences of making friends and understanding political changes, as well as her quest for independence and respect are universal themes to which readers of all ages will relate. Visually, PERSEPOLIS is a marvelous spin on the traditional memoir. 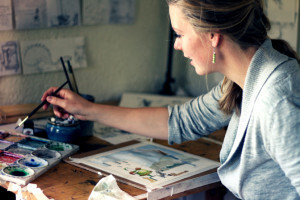 The graphic layout offers a genre for young readers who still crave visual references at an age when other illustrated books may appear childish. The images give a youthful quality to some difficult subjects, yet the novel remains sophisticated in its simple, organized presentation. 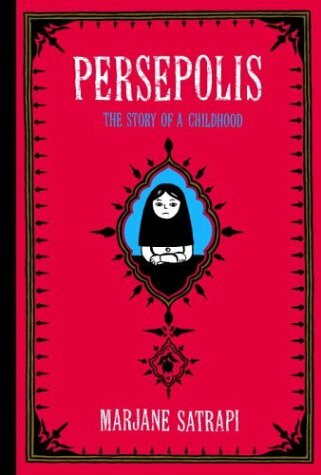 Because this graphic memoir lives up to its genre, PERSEPOLIS: THE STORY OF A CHILDHOOD makes a riveting read for all middle grade through adult readers. 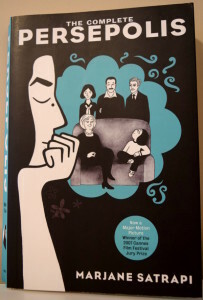 In this, Satrapi relives her childhood in a country gone mad. Satrapi explains the complexities of war, politics, Iranian history, and culture through reflective but stark black and white comic strips. The absence of red, the color of gore and bloodshed, mercifully buffers readers from the unspeakable suffering inflicted by the Islāmic Revolution. The absence of censorship thwarts the aggrandizement of war. Satrapi’s humor serves as an unexpected encourager, prodding us forward with hope. As a child, Marjane Satrapi desired to become a prophet. As a young adult she desired to become a revolutionary. In her own way, she accomplished both. Did you know that, pre-1979, Iranian women and girls were free to dress as they chose? Young adult and older readers enjoy The Complete Persepolis, which includes Persepolis: The Story of a Childhood and Persepolis 2: The Story of a Return. If you’ve already read the story, I highly recommend watching The Complete Persepolis motion picture, winner of the Cannes Film Jury Prize in 2007. Your heart will break for the plight of the Iranian people while you fall in love with Marjane, her colorful grandmother and her courageous family. The artistically exquisite movie provides a perfect summary and refresher after reading the two-part memoir. Please share your Persepolis comments, too! Grab the box of tissue. 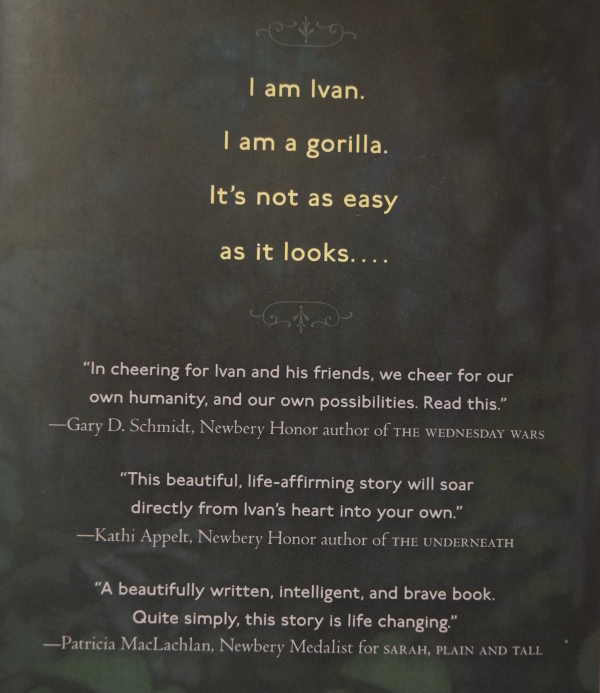 THE ONE AND ONLY IVAN, inspired by a real gorilla named Ivan, will change your perspective, forever! In this illustrated novel told from the point-of-view of Ivan himself, Katherine Applegate has taken the tried and true, “when a stranger comes to town” plot, and authentically created heartache, humor and heroics. Ivan, in and of himself, is remarkable; he creates art. When Ivan meets Ruby, a needy baby elephant, he confronts his fears in order to help his peers. This reflective story about a silverback gorilla’s humanity has a silver lining that will leave you shining. Like the novel, Patricia Castelao’s drawings are extraordinary, simple, yet, sophisticatedly rendered. Katherine Applegate of ANIMORPHS fame has a reputation for weaving humans and animals in unique ways. Her latest narrative combines human emotion and dialogue into the lives of a great silverback and his unlikely collection of friends in the Big Top Mall. Applegate incites sympathy for every one of these characters, not just the indicted performers. We learn to see that the stray dog, the janitor and his daughter, and even the animal trainer have both good intentions and their own personal heartbreaks. Through quiet, bite-sized chapters, we experience these relationships, the losses each individual has suffered, and the hopes he or she clings to. Although each vignette is packed with emotion and sensory detail, each is also concise enough for readers to digest a little or a lot in one sitting, perfect for a reluctant or busy reader. This fictional treasure, based on the captivity of Ivan, a real-life silverback, evokes compassion and empathy for all creatures, great and small. The extra white space formatting of Applegate’s thoughtful text and Castelao’s moving illustrations calls readers into a deeper contemplation of Ivan’s lonely and desperate experience. 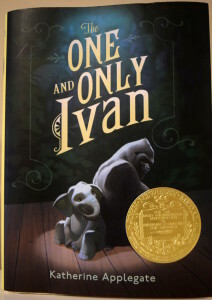 This gorilla memoir made me feel the bankruptcy of the collapsing infrastructure and the human flaws and frailties surrounding Ivan and his companions. I cheered for Ivan while he thrived as a primate art prodigy and again, when he rediscovered his true nature as protector. I’m a better human for having experienced life through Ivan’s eyes. Thanks to Katherine Applegate and Patricia Castelao for following their creative natures to assemble this poignant story of love and self-worth. Please share your One and Only Ivan comments, too! In HEN HAD HER HAM, Meish Goldish constructs a sequentially ordered recipe for learning new words. 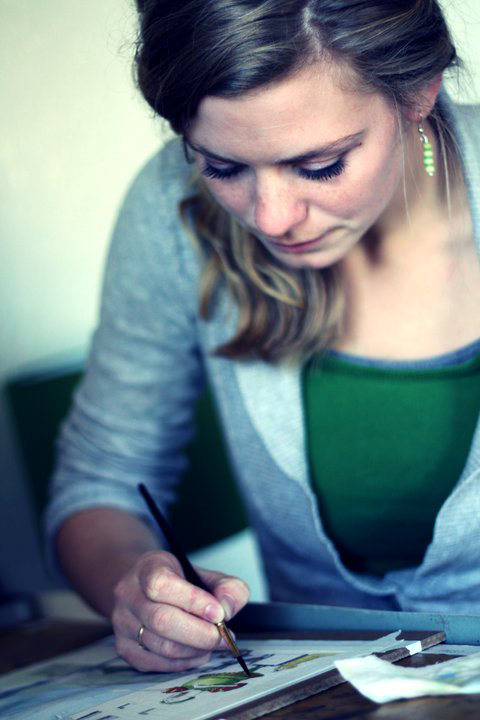 A simple sentence structure feeds the reader with clear, consistent cues that help build vocabulary, one layer at a time, just like making a sandwich. And like every good recipe, Goldish has the perfect balance of sugar and spice, stacking this leveled book with silly surprises that mix whimsy into what can otherwise be a frustrating experience; learning to read. Andy San Diego’s illustrations of the only character in the story, the hen, are equally filled with sugar and spice. The hen’s facial expressions encourage a beginning reader as they struggle to make phonetic sounds. The true gem of this book is that it combines consistency with silliness. This easy reader is a splendid reminder of where we all started. Using one and two-syllable words, Goldish takes us through a simple action done by a simple character. San Diego’s no-nonsense illustrations provide some direction, but they are by no means a crutch for a young reader. The gross factor in Hen’s choice of condiments will keep kids turning pages until the end reveals a slight shift in both text and illustrations. Hen’s final condiment is her undoing as she bites into her meal. Hen and her sandwich are a fun and silly way for new readers to meet milestones in literacy and know the triumph of completing an entire book. In HEN HAD HER HAM, Meish Goldish’s funny word sandwiches stimulate the appetites of new readers. Illustrator Andy San Diego’s adventurous, googly-eyed protagonist educates via giggle-inducing entertainment. 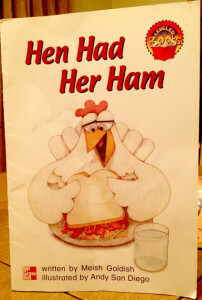 HEN HAD HER HAM taught my youngest granddaughter that she can read–and read well. Our early reader’s confidence has grown to the point that she typically re-reads HEN’S story until A) she gets hungry, or B) a grownup hides the book to keep their eyes from glossing over. I can particularly identify with Hen because her tongue sticks out when she concentrates; like mine, as I write this. And I’m wondering why San Diego didn’t draw her some milk to follow that surprise ending. Water’s not going to help. Our copy is a little bent, but if you ever want to borrow HEN HAD HER HAM, I know a little girl who would read it to you. Please share your HEN HAD HER HAM comments, too! “We’ll be friends forever, won’t we?” asked Piglet. Piglet and Pooh’s thoughtful exchange opens the “Fix Me Up” music video featuring Zach Sobiech, Sammy Brown, and Reed Redmond of A Firm Handshake. 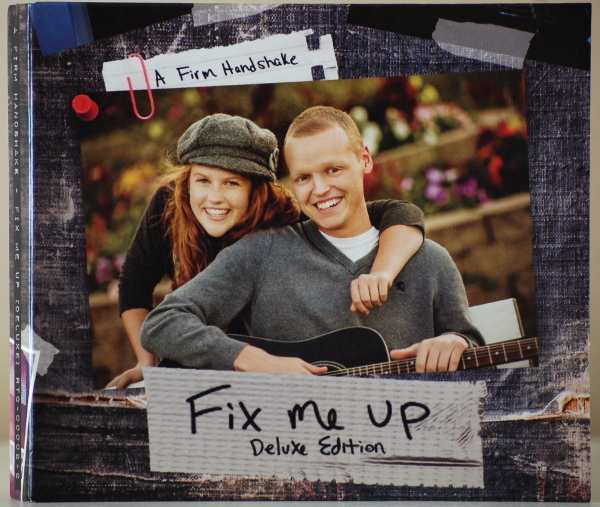 The “Fix Me Up” soundtrack sprouted from the trio’s resolve to bring beauty and goodness out of 18-year-old Zach’s terminal diagnosis and impending death from osteosarcoma. In “Fix Me Up” Sammy pleads, “One more moment, please.” The Piglet/Pooh dialog fittingly echoes Sammy and Zach’s heartache, love, dread, and hope. By communicating their conflicting emotions with such urgent truth and transparency, the life-long friends remind us that sooner is better. Their message has hit a universal cord, as proven by Zach’s #1 hit single “Clouds”. I’ve toiled to find the perfect songs for my work. For children’s books, I’ve found that Veggietales Radio produces better results than Etta James. For my family memoir, baroque keeps me serious, but too stuffy. Buddy Holly helps me remember, but I find myself dancing instead of writing and regressing to an age nobody else remembers. Colbie Callait helps me forget, but that’s not good when you’re writing a memoir. I could waste a lot of time selecting songs and never do the work. My distracted mind needs music of focused urgency. Tuesday, my craft received a defribulating jolt when I won the “Fix Me Up” Deluxe Edition CD and music video DVD in a door prize drawing. 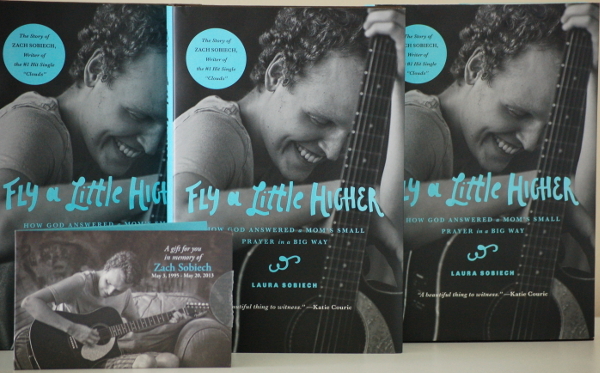 I’d already received a what-are-you-waiting-for kick in the pants while laughing, crying, and crying some more through Zach’s mother Laura Sobiech’s memoir, Fly a Little Higher. I bought extras for gifts. Shhhh. Zach (and Laura) raised the bar to billowy heights, but Zach’s short life reminds us to share our talents, not hide or waste them. And now we have his music to encourage and inspire us to reach higher in whatever we’re doing. Now my favorite ear candy while writing for children: “Sandcastles” and “Star Hopping”. 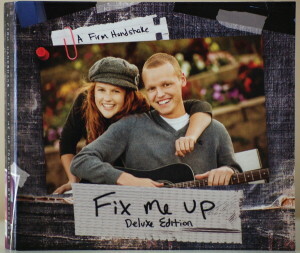 For living, breathing, memoir writing, and everything else: the “Fix Me Up” soundtrack set to repeat. A Firm Handshake‘s melodies soar; their words stir, yet fill you with hope. By baring and sharing the fruit of their young, wise souls, the trio challenges others to be real, to step into the unknown despite our fears, and to live while dying. 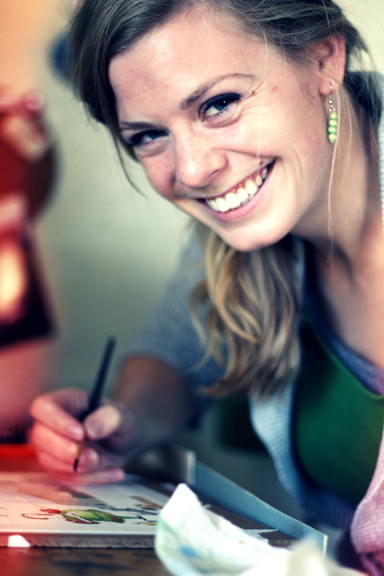 “Because, let’s face it–we’re all dying.” ~ Laura Sobiech. To experience more of this story, go to Zach Sobiech’s Page on the Children’s Cancer Research Fund website, especially SoulPancake’s documentaries preceding and one year after Zach’s death. I’ll leave you with KS95’s Largest Choir’s singing “Clouds” . Conference peer reviews provide fresh, unbiased feedback for our work-in-progress. 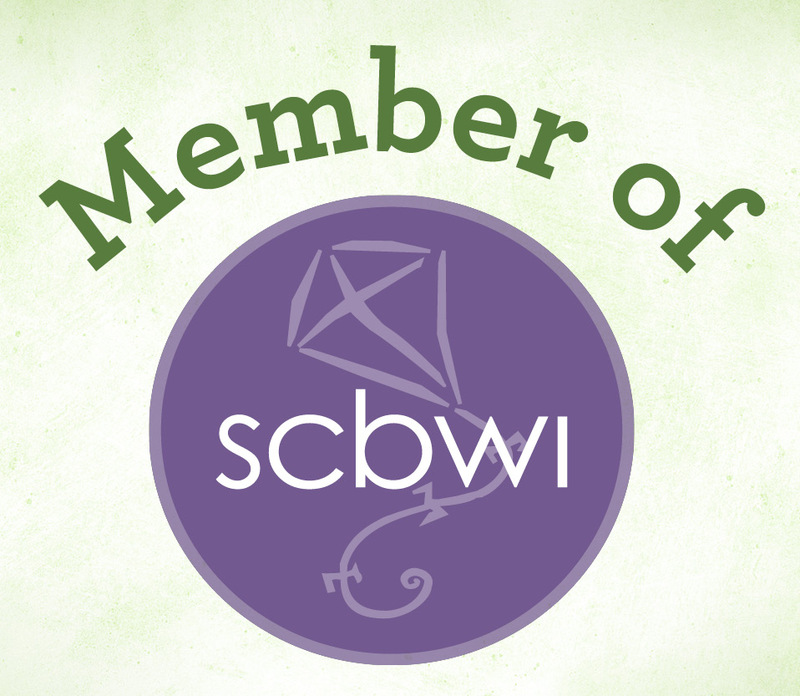 Also, they widen our circle of writing friends, broaden our view of the world, and challenge us to write at a higher level. 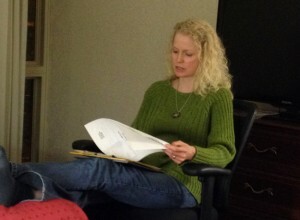 For the peer critiques Iowa SCBWI Assistant Regional Advisor Lisa Morlock divided the manuscripts by genre, then she organized us into groups of four or five. Lisa emailed the manuscripts to each pertaining group member so we could review and print critiques (or bring them in e-form) before the conference. Accomplished author Sharelle Byars Moranville facilitated my group, which consisted of three other chapter book and middle grade novelists. To top off the great advice we received from one another, she suggested we give all characters a crucible moment; deliver the empathy-building essence of our protagonists; and strategically plan for pivotal stepping moments at the quarter point, the mid point, and the three-quarter point of our manuscripts before tying it up with that satisfying ending. Michelle Poploff, Vice President and Executive Director of Delacorte Press Books for Young Readers, led “Finding Your Voice”, a session where First Page participants received a wealth of feedback in minutes. Participant names were randomly drawn. They read the first 500 words of their manuscripts. After each reading, attendees in the audience provided anonymous comments on notecards. 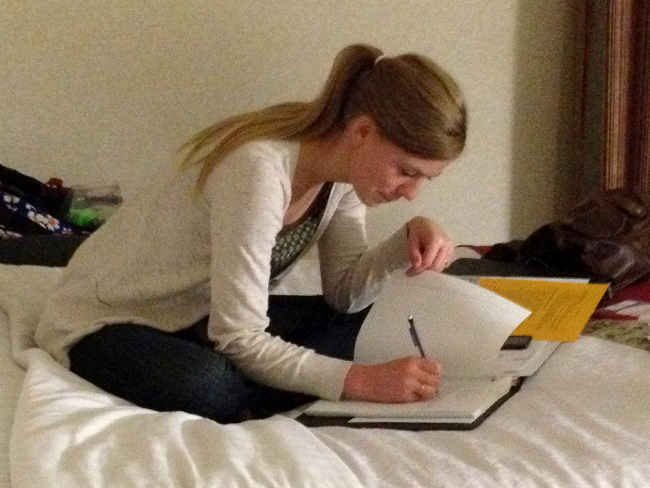 In our motel room the night before, my roommates and I took turns rehearsing and creating one-line elevator pitch synopses. Not only did the pitch-writing exercise equip all four of us to create more impactful queries; but the extra preparation paid off in the performances. When my roommates names were drawn, they delivered self-assured readings preceded by convincing pitches. Face-to-face manuscript critiques provided the best opportunity to have our most polished, unpublished manuscript critiqued by an editor, agent, or published author. We submitted our manuscripts three to four weeks prior to the conference to allow ample time for our advisor to review and write comments; then we received a ten-minute appointment for them to tell us what worked, what didn’t, and how to improve our work. 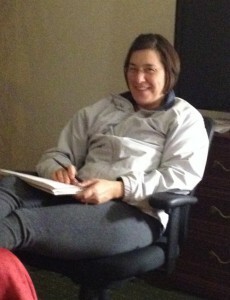 Thanks to Joanna Cardenas, Assistant Editor for Viking Children’s Books, for reviewing my manuscript. She devoted an impressive amount of thoughtful consideration, offering suggestions on character development, plot and structure, language and diction, voice, and marketability. Her advice differed substantially from input I had received from Barry Goldblatt, founder of BG Literary, at the 2013 Minnesota Conference. However, their foundational goals remained the same: to increase my protagonist’s likeability, which would increase the appeal of my manuscript, which would increase its chances of being published. I’m grateful to them both. 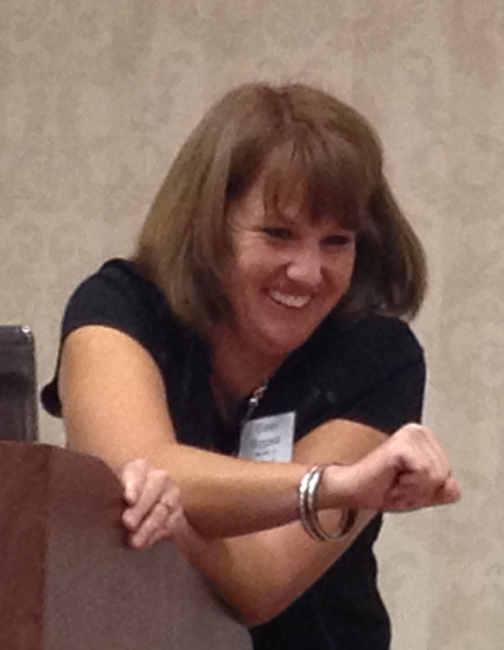 Next week I’ll share more 2013 IA Conference wisdom from Michelle Poploff; Allison Remcheck, Assistant Literary Agent of Rosemary Stimola Literary Studio; Joanna Cardenas; and Jennifer Black Reinhardt. See you then! There should be an Iowa-nice saying. The Iowa SCBWI Conference organizers welcomed us Minnesota party crashers with open arms as usual. The hospitality of these southern friends has motivated us to make Des Moines an annual road trip destination. And next year we might need a bus. Lisa Morlock and Debbie LaCroix kicked the conference off with this YouTube parody by Sue Fleiss of Anna Kendrick’s “When I’m Gone” cup song. In their presentations regarding young adult and middle grade novels, Jan Blazanin and Eileen Boggess mentioned so many titles by authors whose names I didn’t recognize, I drooled a little during my open-mouthed stare. I whispered to my writing partner. “I need to read more.” Mercifully, she didn’t zing me with sarcasm. But, we’ve both been on a reading frenzy since. Blazanin’s book, Fairest of Them All, is on my to-read list. Other young adult novels she recommends include: Bitter End by Jennifer Brown, Eleanor & Park by Rainbow Rowell, and The White Bicycle by Beverley Brenna. Every book in a series or trilogy needs to have its own logical arc and structure. Each book should give the reader enough to enjoy what they are reading but hold back enough to leave them wanting more. 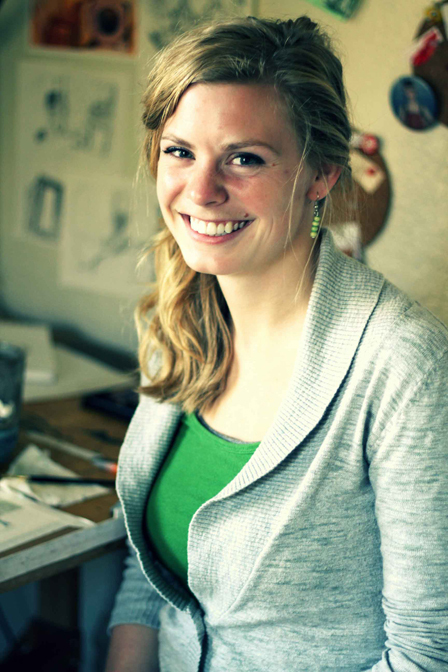 Boggess gained this knowledge developing her own successful (and funny) middle grade MIA book series. She urges series and trilogy writers to create and consider the protagonist’s whole world, because readers will know if something isn’t consistent. She also warns writers to be careful which characters we kill off, so we don’t have to resort to another clichéd phew-it-was-only-a-dream scene. I promise, I’ll share more IA Conference notes next week. In the meantime, special thanks to the event committee (Connie Heckert, Lisa Morlock, Dorothia Rohner, and Eileen Boggess) and all speakers and volunteers for putting on another memorable event.